There are some very enjoyable aspects of the ambitious Batman v Superman: Dawn of Justice, including Ben Affleck’s intense, brooding performance as Bruce Wayne/Batman. It’s a casting choice that continues to polarize, but Affleck makes a worthy successor to Christian Bale. 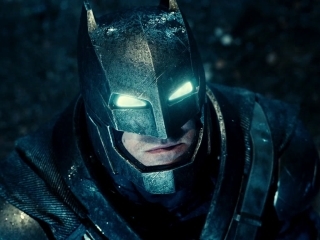 His graying, wearied Dark Knight may wear a bulkier outfit that boasts glowing blue eyes, but aside from superficial differences the character remains as intense as he was in Nolan’s world. Right out of the gate, director Zack Snyder impresses from a pure action-oriented vantage with a ground-level replay of the Superman/Zod battle that concluded Man of Steel. 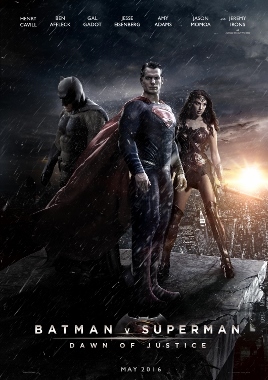 The devastation of Metropolis and all its inherent collateral damage is at the heart of Dawn of Justice. Turns out Bruce Wayne was witness to the destruction, which crystallized his anti-Superman (read: anti-alien) stance. Superman (Henry Cavill) only wants to help, but Bruce views his arrival on Earth as a game-changer in only the worst ways. Of course as Batman, Bruce doesn’t want to answer to anyone either (and is soundly criticized for his ‘judge, jury, and executioner’ approach). Each hero has his own brand of justice. Most everything dealing with Superman and Batman works well. Their battle of ideologies provides both psychological depth as well as exciting brute-force confrontations. 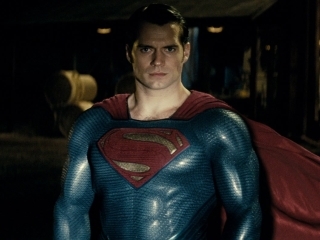 Cavill is arguably short-changed in terms of Clark Kent scenes, never quite fully establishing his alter ego, but he continues to convey Kal-El’s confusion over his place in a foreign world. Lois Lane (Amy Adams) is far better utilized than in Man of Steel, though the Lois and Clark romance doesn’t resonate as deeply as it should. Orchestrating the conflict between Batman and Superman is Lex Luthor (Jesse Eisenberg). The young LexCorp CEO (he inherited the company from his father) seeks to weaponize kryptonite, ostensibly to protect Earth’s population from alien visitors like Superman and Zod. The casting of Eisenberg as Luthor seemed inspired, but unfortunately he’s saddled with what becomes a garden variety “psycho villain” role. Early on, in his manipulation of Senator June Finch (Holly Hunter) to achieve his plan, Eisenberg shows promise. Twitchy and nerve-wracked, his Luthor initially seems intellectually driven. Eventually he trails off into rather generic “crazy” rantings that aren’t entirely convincing. As they ramp up efforts to build an entire cinematic universe, DC has thrown in a few wild cards. The big issue, however, is whether the addition of a character like Diana Prince (aka Wonder Woman, enigmatically portrayed by Gal Gadot) improves Dawn of Justice. She’s getting her own movie next year, so we get no back story or context here. If we hadn’t already been cued during pre-release hype that Wonder Woman would debut, her appearance here would feel even more tacked on than it already does. She may look great in the costume, but she’s given nothing to play. Batman v Superman: Dawn of Justice has been criticized for its length (2.5 hours) but, considering all the content they packed in, the real question is why didn’t they go for a full three hours? With all the activity onscreen at any given moment, the film isn’t boring. So why not expand it even further, allowing for a bit more character development and perhaps smoother transitions between the Batman & Alfred (Jeremy Irons) stuff and the Superman & Lois (or Clark & Perry White, again Laurence Fishbourne) stuff. 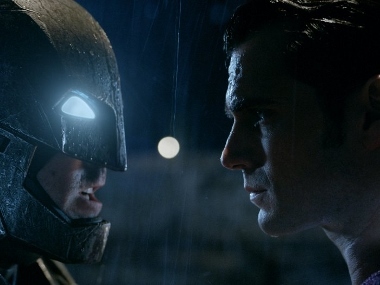 Dawn of Justice winds up feeling overly episodic, with a sprawling, messy narrative that either needed tightening or expanding. Snyder and company were clearly going for massive scope, so the solution might’ve been the latter. We’ll get that expansion over the next few years, with two Justice League films planned and a slew of related films. Let’s hope each one focus a little more on storytelling to compliment the action and effects.